Can you name an industry that doesn’t use motors, pumps, fans, blowers, compressors and or any other rotating equipment? It may not be possible. Processing magazine reports that approximately 90% of industrial electric motors are joined to a pump, while also driving fans, compressors and other equipment. Furthermore, in the U.S. industrial sector, pump systems account for 25% of the total energy consumed by electric motors and over 50% of the electricity in pumping intensive industries. Motors and pumps are found in most industrial and manufacturing spaces including steel, power, textile, fabrication, chemical or food processing plants, and mining operations. These critical assets will typically experience some level of vibration during operation. Excessive vibration is one of the leading causes of machine failure. Avoiding rotating machine breakdowns in motors, pumps, and fans is imperative. One of the easiest ways to identify issues is by continuous monitoring critical assets using strategically placed triaxial sensors. Cloud-based technology allows professionals to gain access to real-time data from the shop floor, the office, or even from home. Using software trending, graphing, or timeboxing provides teams with an early warning of problems, such as imbalance, misalignment, looseness and bearing issues. 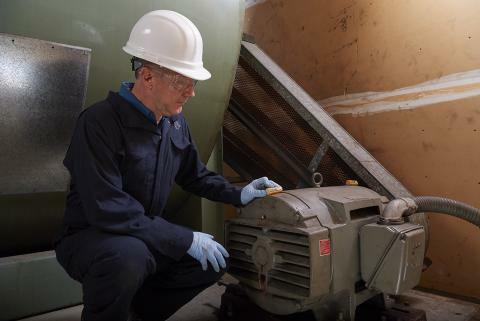 By placing vibration sensors on motors and pumps, maintenance and reliability teams can safely monitor equipment located in remote, hard-to-reach, or dangerous areas. Pumps are crucial for processing wastewater. Due to the distance of some facilities, they may be minimally attended. Cavitation is one of the many possible pump issues. Bursting vapor bubbles cause vibration and the higher pressure can damage impellers. Remote monitoring instantly alerts technicians to unusual vibrations that could eventually cause drainage issues, unwanted tank level changes, or other pump malfunctions. A boiler feedwater pump drives feedwater into a steam boiler. Problems, such as loose bolts, can be detected by installing sensors on the main pump. Screen and recognize problems of this type by monitoring vibration for changes in condition. Impending problems—such as improper suction pressure, discharge pressure, flow, pump speed, or power—can be detected using vibration screening. 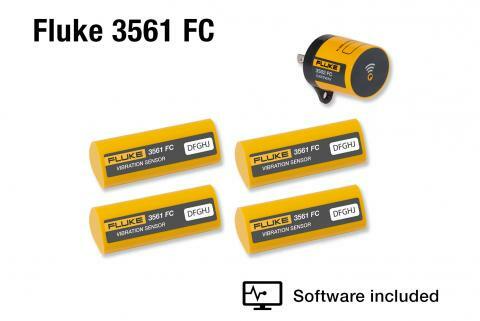 Vibration sensors will also send alarms when vibration exceeds pre-set limits. Efficient and effective cleanroom design, construction, and operation are critical to meeting strict ISO cleanroom specifications. More than 30 different industries use cleanrooms, approximately 70% of which are used by semiconductor, pharmaceutical, and biotechnology businesses. Keeping cleanrooms contaminate-free is crucial. Associated cleanroom fans, such as fan-filter units (FFUs) play a key role in keeping cleanrooms clean. Fans located outside of a cleanroom, however, such as in a HVAC system can also affect cleanroom conditions if they malfunction. Fan or drive belt failure can cause loss of control of critical cleanroom parameters. HVAC failure can be avoided by adding remote sensors to monitor vibrations from bearings, fan impellers and drives. Remote and grueling mining environments often hosts expensive equipment that is highly susceptible to dust and dirt. Conveyors are one of the most critical assets used during excavation and can be located above or below ground. Excavator conveyer systems—including the motor, gearbox, and roller bearings—can be difficult-to-reach. By adding remote vibration sensors, technicians can measure and monitor conditions from a safe distance. Changes in condition may be early indicators of misalignment or structural looseness in essential machinery. Process chillers are complex machines comprised of a compressor, condenser, evaporator, pumps, pipes, high-pressure refrigerant relief valves, and more. All this equipment works together to keep meat safe for consumption by controlling temperature, humidity, and air circulation. As with any motorized equipment, bearing wear is the main culprit for equipment failure. Vibration sensors provide early warning of refrigeration equipment faults and help prevent inadequate chilling performance. A pizza factory can produce up to 50,000 pounds of dough per day using multiple pumps and motors. Equipment moves flour from the silo to an agitator motor that mixes dough. Machinery makes the dough and even flattens them into pies. Pizza dough pies then travel down a motor-driven conveyer belt and finally go into onsite machine-made boxes. Determine if your assets anywhere along the production line are experiencing premature wear by installing remote vibration sensors. Supplying ventilation in an enclosed football stadium requires a complex and elaborate system. Loss of HVAC fans during a football game in an enclosed stadium may send chills up a game attendees' spine. Operational failure is not an option, especially with 100,000 spectators. Remote sensors enable operators to monitor vibration in critical motors and pumps, and keep the game moving. Clogging is the most common cause of dewatering pump failure. These pumps are used to remove groundwater during major construction projects, often in remote locations. Corrosion, lack of lubrication, or contamination are the main causes of pump failure or bearing wear. Impeller imbalance—the rotating part of the pump—may also result in vibration. If left unchecked, these faults can decrease pump reliability and may ultimately cause extensive, costly damage. Stay informed about changes in asset condition by setting up software to send alarms when assets deviate from thresholds. Hospitals contain a myriad equipment critical to ventilation and clean air circulation. Equipping valuable assets with remote sensors can help hospital maintenance ensure that equipment is healthy. Imbalance, looseness, coupling wear, misalignment, bad bearings, and rotor cracks all cause excess vibration in fans. By monitoring the condition of critical assets, repairs can be made before a system fails. Oil well production is often done in remote areas of the world. Sucker-rod pumps, which are simple in design, pull oil from subterranean reservoirs. Because many of the components reside underground, oil rig equipment failure and repair can be extremely expensive. Therefore, machinery is always monitored. 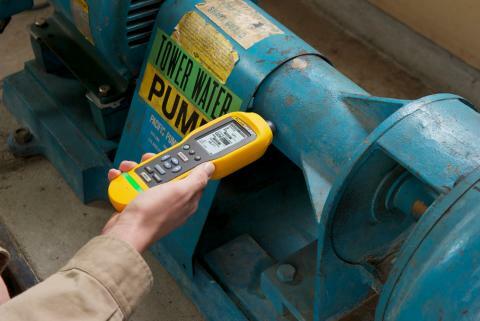 Remote, wireless sensors are one easy way to screen pump vibration and continuously monitor equipment. 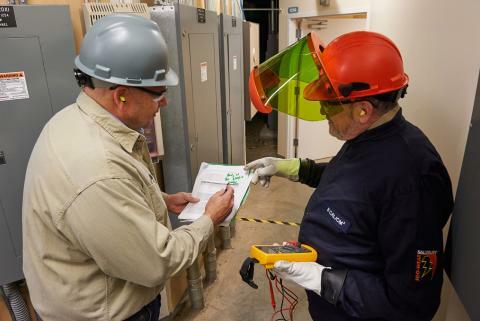 Examining vibration data or using software to trend, graph and timebox measurements provides early warning to personnel without having to be on location. 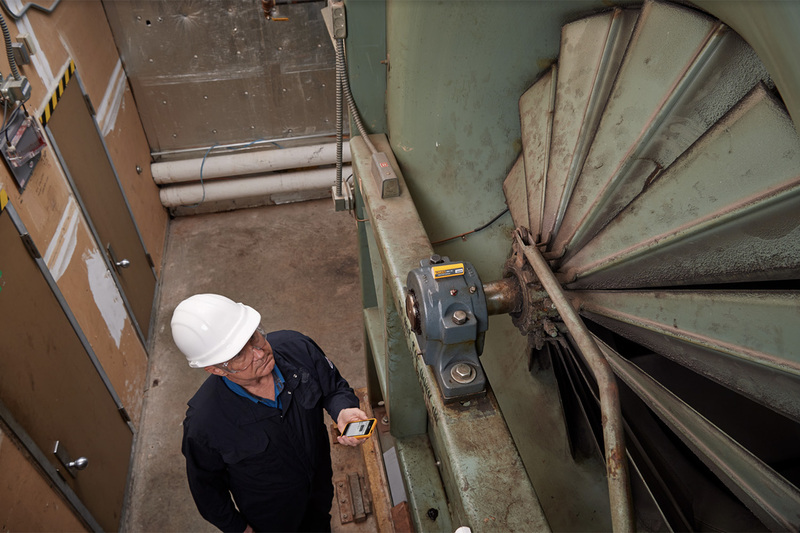 Read this article for more information on vibration screening with remote, wireless sensors, including how to set them up at your plant or facility. “Pump Systems Matter,” The Hydraulic Institute.